A former manager of Chimurenga music legend Thomas Mapfumo's Blacks Unlimited, Cuthbert Chiromo, has been dragged into the controversial fallout between Mapfumo and his former spokesperson Blessing Vava and Entertainment Republic boss Max Mugaba. Mugaba's company was partnering Mapfumo's Chimurenga Music Company (CMC) in a series of shows the United States based crooner held last December across the country, and according to a contract signed by the two, Mugaba was to foot all the expenses and get 25% of the net profit. Mukanya has, however, accused Mugaba and Vava of "fleecing him" of the proceeds and in a recent interview with a local publication, the 73-year-old musician, who is due to fly out to his base tomorrow, said "Max and Vava disappeared with the money" after every show. The Standard Style last week ran an analysis of several factors - economic and logistical - that resulted in poor attendances at Mukanya's shows, and this week, we unravel the backstage tussles that left both Mukanya and Mugaba poorer, and dragged Chiromo and other unnamed individuals into the matrix. Vava refused to comment on details regarding the fallout and referred all questions to Mapfumo's manager Austin Sibanda. "I appreciate the time, honour and opportunity Mukanya gave me to work with him as his publicist. It is unfortunate that it has ended this way, I hope one day we will find each other," Vava said. "We have the documentation that shows there was actually a loss. We have had a great working relationship with Mugaba and I can confirm that instead, we actually owe him money, not the other way round," Sibanda said. At the show held at Club Hideout on New Year's Eve, only 356 of the 645 issued tickets were sold, and the show realised revenue totalling $3 065 (bond), US$150 and R500, and does not show the expenses incurred. Having committed to pay for Mapfumo's accomodation in Harare, Mugaba has since signed an acknowledgement of debt document seen by The Standard Style. In the document, Mugabe commits to pay $1 980 before February 12 to Patricia Gunda "in respect of a verbal contract for the hire and use of premises" and has since handed over a Mercedes Benz Atego 815 truck to Gunda as collateral. "Things were not well financially and at some point Mukanya's fans had to chip in to provide some things that were needed," said a source. Chiromo was Mapfumo's manager from the early 2000s when the musician left for the United States. According to sources, Chiromo, who remained in Zimbabwe, was handling Mapfumo's properties and affairs, including the controversial issue of Mapfumo's five vehicles impounded by police in 2000. The two reportedly had a fallout and at that time, Mukanya allegedly accused Chiromo of abusing a power of attorney to sell Mapfumo's Mt Pleasant house. "So, as Mukanya was failing to come to terms with the losses incurred during the shows, Chiromo was one of the people who came from behind the scenes, and influenced Mukanya to lash out at Vava and Mugaba," said the source. However, Chiromo said he was not involved in what was happening. He said on the day Mapfumo gave his interview, they had had a meeting at Harare Town House "on other matters and we wanted to go for dinner so, Mapfumo wanted to go to the newspaper. "I would not refuse to drive him to where he wanted to go. I do not need anything from Mapfumo, I worked with him on big projects. I have bigger things to do than be embroiled in petty fights. I even warned Mapfumo that their shows were disorganised and being a big brand he should not have done such shows." "Cuthbert is someone we work with, but in a different capacity. He is someone who just assists us, but not related to music," said Mapfumo. Asked about the status of his current manager Sibanda, Mapfumo said: "I am yet to talk to Austin because he is back in the United States. I will only talk to him when I return to the US." "From my side I met all my obligatons. I feel for him as a muscian who may not understand the management side of events, and I understand there are people who have surrounded him, and influenced him to sideline his original band members. I was surprised that at the Glen Lorne house where we were renting for him, there were now many people going there, with some even staying there," Mugaba said. 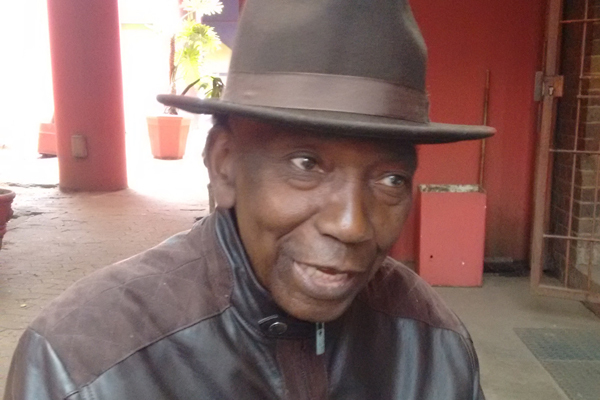 "I have great respect for Mapfumo, mudhara wedu [he is our old man]. Remember when he came in April, we did his show and I paid him $55 000 in hard currency, so there is no way I would fleece him, why would I do that? "The arrangement was that the shows would pay for themselves, and it did not happen as expected because of the economic problems in the country. At one show I had also suggested that they do not continue to perform, realising it would be a loss, but Mudhara insisted," said Mugaba. Mugaba said he was updating Mapfumo's management all the way on critical payments that had to be made to service providers. "Most of payments to service providers were arrangements as we hoped to pay after proceeds from the show, but it did not happen as such, so I am in debt, and I am making efforts to pay."